Your editor is a huge fan of our present Bishop of Dromore, Dr John McAreavey – a man with the common touch, but also a leader of great piety, erudition, compassion and zeal. But first we want to write a few notes on a number of his predecessors. Dr Michael Blake – whose virtues have already been extolled on these pages [use Search Engine above!] – served as Bishop of Dromore for almost twenty eight of the mid-nineteenth century years, from 1833-1860. Amongst his legacies to the people of Newry and District are the Bishop’s House and St Colman’s College but far more important, the arrival in Newry of the Christian Brothers and the Mercy Sisters. All of my people have benefited from their devotion to the education of the poor, and there are few Catholics in the district who would not admit the same. 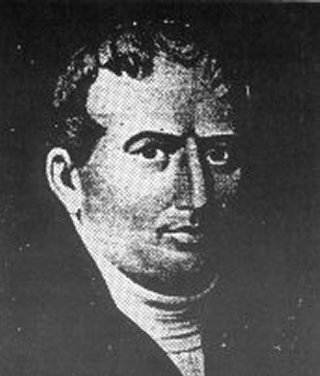 Michael Blake was born in Dublin in 1775 and entered the novitiate of the Irish College in Rome at the age of seventeen. He was ordained in Dublin in 1799. His years of ministry to God were turbulent years and hungry years – including the Great Hunger – and years of continued struggle for Catholics to freely practice their faith. He was parish priest in Dublin for a few years before returning to Rome where he undertook the restoration of the Irish College there. He became Rector of the Umberian College 1826-1829. In 1831 he was transferred as Parish Priest to Westland Row, Dublin. He became keenly aware of the poverty and squalor all around him. He knew also of the work there of the Sisters of Mercy and of the Christian Brothers. The founders of these two Religious Orders, Catherine McCauley and Edmund Rice were his personal friends. When Dr James Kelly – who had brought the Poor Clares to Newry in 1830 – died in 1833, Michael Blake was appointed to succeed him. He was the first to be consecrated in the Cathedral of SS Patrick & Colman on St Patrick’s Day 1833. His term of office saw the building, re-building or completion of some 25 churches in the diocese and of 16 parochial residences. He set up a Seminary at Violet Hill, still today the site of an excellent Boys Grammar School and of the Bishop’s House that he had built. A devout man he showed intense personal interest in the growth of sodalities and confraternities in his diocese. Through his direct offices, on 2 Feb 1851 he brought the first Christian Brothers [Br Peter Scannell and Br Vincent McDonnell] to Chapel Street, Newry. As well as a school of learning the Brothers at first provided breakfast for over 100 poor children of the town. Still not content, he implored the Mercy Sisters to come to Newry. In 1855 his wish was granted. Among the group of first nuns, under Mother Catherine O’Connor of Kinsale, was one local girl, Elizabeth Russell of Killowen. Soon they opened a refuge for down-and-outs and a public laundry in which poor young girls could be provided with a means of support. A Co-adjutor, John Leahy, was appointed to assist the ageing bishop in 1854. Through his influence the Dominicans [Order of Preachers] were invited to Newry in 1871. The magnificent St Catherine’s Church was soon after built. Bishop Blake died 6 March 1860 at the age of 85. He had contributed more to the future welfare of generations of Catholic people here than any man before or, possibly since. He rests in St Mary’s Cemetery.